I read this article and found it very interesting, thought it might be something for you. 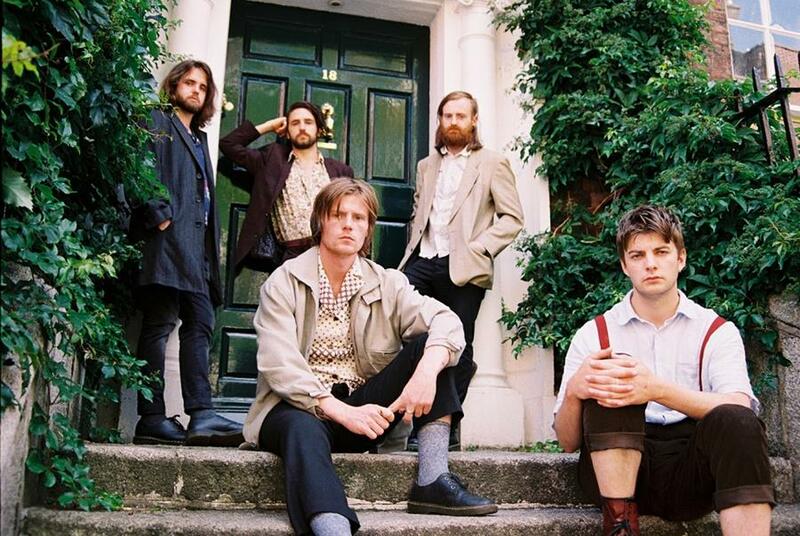 The article is called What We’re Listening To: Fontaines D.C., Whenyoung And More and is located at https://www.totallydublin.ie/music/what-were-listening-to-fontaines-d-c-whenyoung-and-more/. We’re taking a look back on the month just gone by recalling some of the best music to pop up on our radars during it, mostly Dublin-based or Dublin-linked with a little splash of music from around Ireland thrown in too. Here’s our favourites from March. The boys from the better band are almost at album D-Day, with their debut Dogrel set to land on April 12. In March, they put out another little taste of it in the form of Roy’s Tune, that showcases another side of the band than their usual machine-muscle post-punk does. Grian Chatten is actually really singing on this one, as opposed to his usual growl, for a slow, sad song about life when every day rings the hope out of you. Guitarist Conor Curley says: “I used to work in the service industry, at a small burrito place in Dublin, and I’d walk home at night because I couldn’t afford public transportation. Grian and I didn’t have any money, so we were sharing a double-size bed in the same converted office block. One night on my way home I was walking by The George, and a guy was getting kicked out by the bouncers. He kept yelling at them, ‘I’m gonna kill you stone dead!,’ and that turn of phrase stuck out to me. A couple years back the EU awarded Ireland €14 billion in back taxes from Apple, but the government refuses to do anything with the money out of fear Apple will move their headquarters. They care more about a giant corporation than the people of our country, and all we can do is sit there and take it. We wanted this to be a moment of reflection on the album. We included this song with the purpose of showing our intent as a band and as Songwriters from the get go. That we intend to explore whatever emotions or ideas we see, and not just make ‘another post-punk album'”. And from Fontaines to another of Ireland’s most hyped right now. Limerick’s indie heroes Whenyoung also have an album on the way, with Reasons To Dream out on May 24. The latest shot from that is new single Future, and it follows the template they’ve established on previous singles, bright, zippy indie-rock, peppered with a mix of sadness, wistfulness and hope. A kind of gutter-but-looking-at-the-stars effect, but more ‘if we ignore the corona spilling onto my shoes, could this moment in an indie bar be the most important of my life?’. Girl Band remain sadly on ice, but guitarist Alan Duggan has a new baby. His trio The Claque sees him link up with Kate Brady and Paddy Ormond for a band that takes the same kind of harsh, industrial noise he dabbled with in Girl Band and repackages it as something harder, colder, less of Girl Band’s stormy power but instead a more controlled, packaged force. Brady’s vocal adds some heart to the grinding gears for art rock that’s innovative, challenging and coaxing. Kerry producer JJ LEE, previously known for playing in bands like Dry Roasted Peanuts and Ghostking Is Dead, has now gotten his own project, and his debut single Thursday is almost overwhelmingly Kerry due to its samples featuring the country’s famous figures. A collab with Scenes, aka PJ Galvin, it’s a beautiful piece of mournful, soft-focus electronica, smooth and light-listened-to but with a bubbling experimentalism and edge. Lee says “I’ve had an urge to do something myself for the longest time but I neither had the appropriate time or the means to do so, but lately I’ve just forced myself into and it all came out in a beautifully strange way”. Two of the country’s most promising young acts come together here, as PowPig and Junior Brother have teamed up for a split EP. Two tracks from PowPig, Mayday and Pretty Woman, which dabble in ghostly, Warpaint-ish tribal rock, team up with two from Junior Brother. The Back Of Her and Full Of Wine are classic samples of Ronan Kealy’s scuffed shoe, open-hearted troubadour folk. The EP is out now on Out On A Strange Brew, a corporate merger between labels Out On A Limb and Strange Brew.